"It's scary this kind of stuff never happens here," said Josh Springsteen, who lives next door. "It's just bizarre you know?" 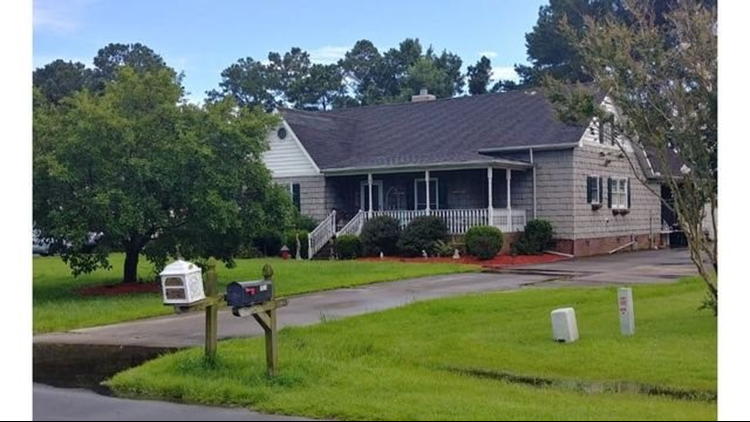 ELIZABETH CITY, NC (WAVY/WNCN) - A man is dead after he and a woman were victims of a home invasion early Thursday morning just outside Elizabeth City. The suspect entered the home and assaulted both the man and woman, before leaving with money, jewelry and other valuables. The Daily Advance, citing the Pasquotank County Sheriff, reported the victims were husband and wife. Authorities say the man, identified as Milton Henry Sawyer Jr., 55, died after the incident. The female victim was taken to the hospital, but released after being treated. Sawyer has owned the home, decorated with antiques on the outside, since 2012 according to public real estate data. He and his wife also owned and operated "The Treasure Hunter" in downtown Elizabeth City, according to neighbors. The store is the "Largest cash buyer of coins, jewelry, gold, vinyl, comics, sports cards, toys, antiques collectibles & entire estates in NC," according to their Facebook page. "Milton was a regular customer who was always so kind," said a woman who works at The Muddy Waters Coffeehouse, that is across the street from the store. "He and his wife adored each other. We should all wish for such a happy marriage." No suspect information is available at this time, but the Pasquotank Sheriff's Office and the North Carolina State Bureau of Investigations are investigating. Anyone with information is asked to contact the Crime Line at 252-335-5555 or the Pasquotank Sheriff's Office at 252-338-2191.